Reach for the Sun, developed by Filament Games, was the winner of the 2013 award for Best Gameplay at the tenth edition of the Games For Change Festival, held this week in New York City. 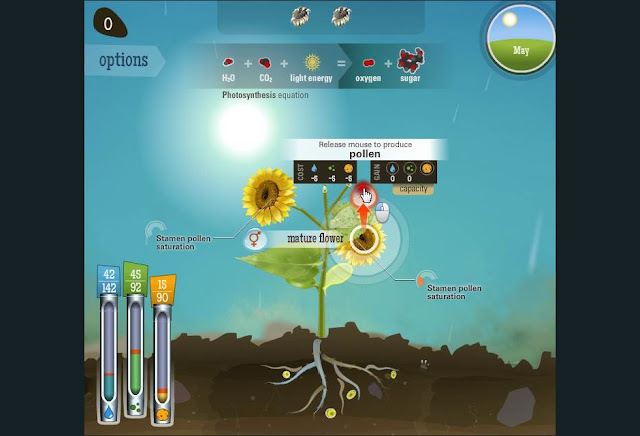 Reach for the Sun, officially released in May of 2013, is a single-player, resource management game for Web platform, in which you control a plant, growing it across a season in the attempt to make as many seeds as possible before winter comes. Your three main resources – water, nutrients, and starch – are used to expand your plant from a little seed into an extensive network of roots, leaves, and flowers. Roots and leaves are used to generate more resources, and flowers are used to produce seeds, which are also used as a currency outside of levels to unlock new types of plants, as well as improvements for the garden such as fertilizer, a watering can, and a praying mantis to fend off pests. In the process of playing Reach for the Sun, you learn all about photosynthesis, plant anatomy, the role of male and female components in pollination, and even something more about the cycle of life and death. These learning processes are completely embedded though, concealed beneath a smooth interface, a beautiful art style, and a really fun set of core-mechanics. 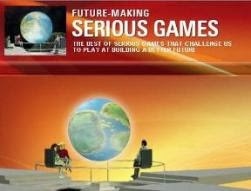 Filament Games is a game production studio that exclusively creates digital education Serious Games. Its core competency is producing games that combine best practices in commercial game development with key concepts from the learning sciences. 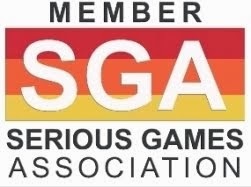 Accordingly, the senior staff is comprised of individuals who are equal parts game and instructional designers; a "dual literacy" that allows Filament to engineer authentic game-play mechanics (rules and interactions that directly correlate with specific learning objectives).